Synergy is a trust-aware, policy-driven information dissemination framework built on top of TrustBuilder. Information dissemination is of vital importance in today's information-centric world. However, controlling the flow of information across multiple security domains is a problem. Most of the current solutions rely on prior knowledge of the users for authorization, which does not scale well. 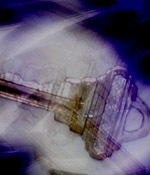 Also, many information sources have dynamic access control policies, which are hard to satisfy under existing schemes. Synergy is a general purpose information sharing framework that uses trust negotiation to implement scalable authorization in an open environment. Synergy provides an abstraction for the information sources and consumers to accommodate new trust-aware systems as well as legacy systems. VisiResCUE is an application prototype built using the Synergy Framework. It focuses on emergency response during disasters. 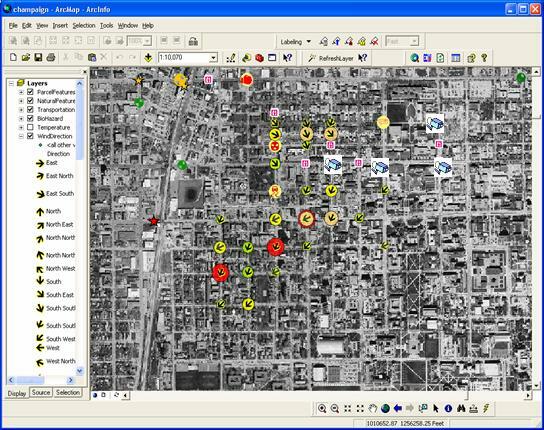 VisiResCUE gathers information from an array of sensors and other data sources, and projects them into a GIS front-end. Using the Synergy framework allows VisiResCUE to gather information from heterogeneous information sources. Click the image at the left for a screenshot. All e-mail addresses are in the cs.uiuc.edu domain. Ragib Hasan, Marianne Winslett, "Synergy: A Trust-aware, Policy-driven Information Dissemination Framework", IEEE International Conference on Intelligence and Security Informatics (ISI 2006), San Diego, USA, May 23-24, 2006. Ragib Hasan, Masters Thesis, "Synergy: A Trust-aware Policy-driven Information Dissemination Framework", December 2005. DAIS - Database and Information Systems Laboratory, Department of Computer Science, University of Illinois at Urbana-Champaign, 201 N. Goodwin Ave., Urbana, IL 61801, USA. Fax: +1 (217) 265-6494, Phone: +1 (217) 244-8837.
eford1 at gmail dot com.